Make yourself at home in one of the 72 air-conditioned rooms featuring refrigerators and flat-screen televisions. Complimentary wired and wireless Internet access keeps you connected, and premium TV channels provides entertainment. Private bathrooms with shower/tub combinations feature complimentary toiletries and hair dryers. Conveniences include complimentary weekday newspapers and microwaves, as well as phones with free local calls. A stay at Comfort Suites Castle Rock places you in the heart of Castle Rock, a 3-minute drive from Outlets at Castle Rock and 7 minutes from Red Hawk Ridge Golf Course. 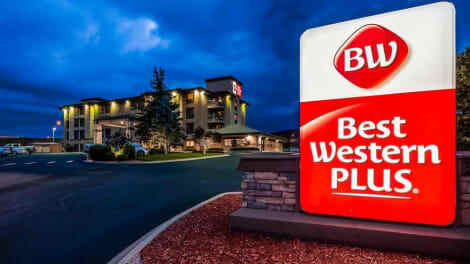 This hotel is 12.8 mi (20.7 km) from Park Meadows Mall and 3.3 mi (5.4 km) from Castle Rock City Hall. 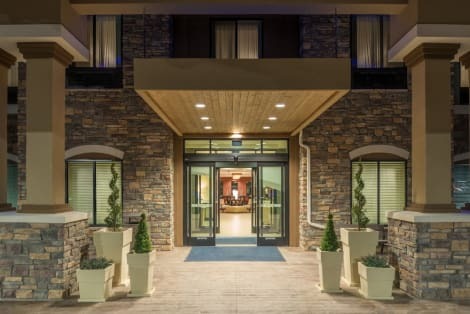 Located in Castle Rock, Days Inn & Suites by Wyndham Castle Rock is a 3-minute drive from Outlets at Castle Rock and 7 minutes from Red Hawk Ridge Golf Course. 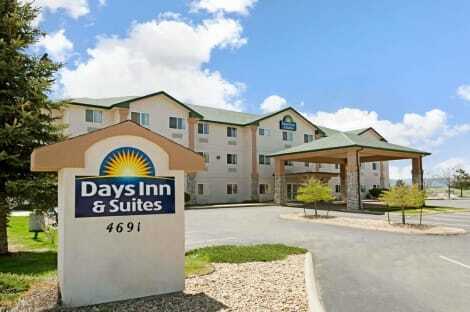 This hotel is 12.9 mi (20.7 km) from Park Meadows Mall and 3.4 mi (5.4 km) from Castle Rock City Hall. Make yourself at home in one of the 84 air-conditioned rooms featuring iPod docking stations and flat-screen televisions. Complimentary wired and wireless Internet access keeps you connected, and cable programming provides entertainment. Private bathrooms with bathtubs or showers feature complimentary toiletries and hair dryers. Conveniences include phones, as well as desks and coffee/tea makers. Enjoy a range of recreational amenities, including an indoor pool, a spa tub, and a fitness center. Additional features at this hotel include complimentary wireless Internet access, concierge services, and wedding services.